This Sunday, July 1st, music will fill the skies in remembrance of Princess Diana. The event was organised by her sons, Prince William and Prince Harry to celebrate her life, ten years after her death. 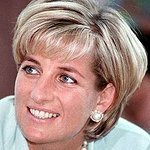 Concert For Diana will take place at Wembley Stadium in London, and is showcasing a wide variety of musical styles, from Andrew Lloyd-Webber to P. Diddy. Legends Elton John, Rod Stewart and Tom Jones will be joined by the likes of Joss Stone, Nelly Furtado, Pharrell Williams, Kanye West and James Morrison. Many more performances will take place during the 8-hour-long event, including those by Duran Duran, Take That, Lily Allen and the English National Ballet. Proceeds of the event go to charities which were supported by the Princess, and to charities of which her sons are now Patrons. These include: The Diana, Princess of Wales Memorial Fund, Centrepoint, Sentebale, National AIDS Trust, The Leprosy Mission, the Royal Marsden Hospital and Great Ormond Street Hospital and the English National Ballet. Tickets cost £45, but those who cannot make it to the concert can view it online at the Concert For Diana website.